These large wooden dowels are the replacement dowels for your birds Tiki Takeout foraging toy. Don't let your birds fun stop when he or she has gone through his or her initial set of large dowels. 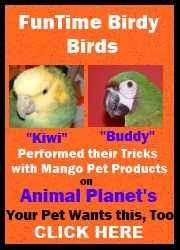 Your bird will thank you for letting his/her fun continue.